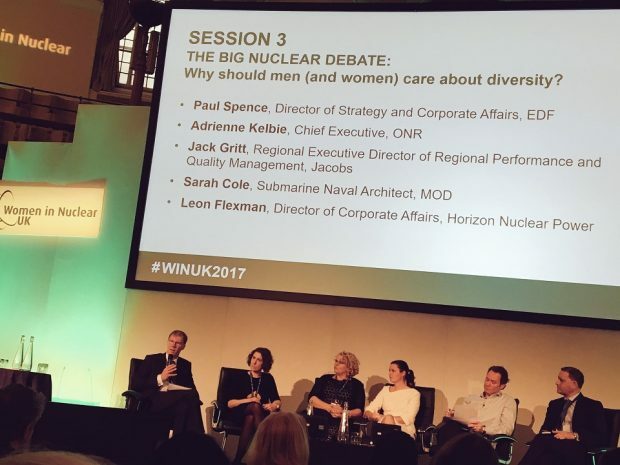 I recently joined a group of NDA employees and others from across our industry at the 3rd national Women in Nuclear (WiN UK) conference in London. 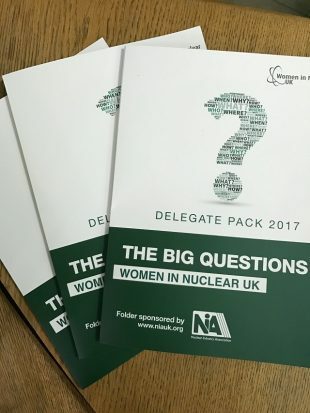 Jack Gritt, President of WiN UK, told us that female membership of the Nuclear Institute, 19-22%, mirrors the percentage of women working across the industry. We’d all like to see this increase to maintain the pipeline of future talent. What’s great is that there’s an exciting trend for those beginning their careers: nearly half of the Young Generation Network membership is female. Often, these young people are also involved in STEM ambassador work, promoting science and technology in schools which all helps to attract more professionals from the next generation. It made me realise that we all need to let the young know our industry exists and offers great career paths. Jack Gritt told us her own 32-year nuclear career had humble beginnings and stressed that it was never too late to get qualifications. There’s increasing commitment s across the industry. 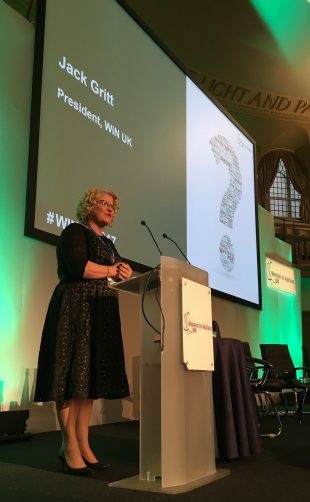 Under the leadership of NDA's Carole Jones, who is an Executive Member of WiN UK, we’ve seen 40 companies sign the WiN’s Industry Charter and make various pledges. WiN also has new regional teams, led by Loretta Browne (Costain), that engage people in activities on diversity and inclusivity. The message is clear: “The nuclear industry welcomes women”. Whilst statistics show that more diverse companies succeed, participants valued the less tangible benefits: positive contributions from different ways of thinking and expertise. Pete Lutwyche, from Jacobs, stated “Your heart and gut tells you that this different thinking drives performance”. Most of the panel agreed that diversity should be part of the way organisations operate. Leaders should define a strategic direction and middle management should consider this when making decisions. We all need to spread the word in actions, images and words. It’s about us all being role models, encouraging women to grasp opportunities to be the best they can be. 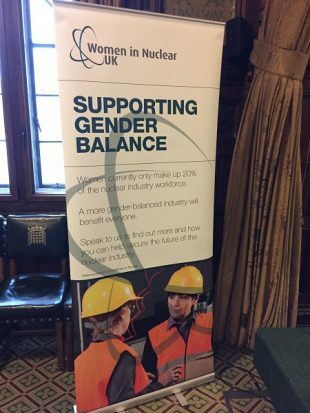 Organisational cultures that promote gender diversity are as critical for the nuclear industry as the safety culture. Olympic athletes travel around the world. Wherever they stay, a large team of people makes sure they have the best conditions. Someone cleans door handles to prevent microorganisms transferring onto athletes’ hands, someone ensures optimum room temperature for sleep, someone else manages nutrition. All these count, even if, in isolation, they appear as tiny drops in the ocean. In the context of diversity, taking action is in everyone’s hands. Actions may or may not have a visible impact but all will count, and that’s everyone’s responsibility. 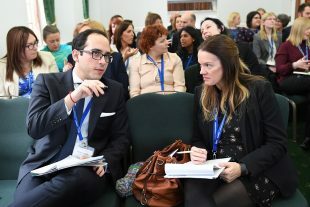 Members of the audience were left with a clear sense of direction towards making efforts in diversity and inclusivity. Everyone reached an implicit agreement that action was required. The question was when, where and how. Join other organisations in signing up to the WiN Industry Charter and pledge to improve diversity and inclusivity. If your organisation wants to help, you might consider corporate sponsorship of the MentroSET scheme. I’ve been inspired to volunteer for the Industry Guidance Committee. There are lots of activities that you can participate in. WiN UK has regional teams and seeks support from those committed to change. Watch out for the opportunities to be involved in speed mentoring session that connect smart, bright people and support careers. Be a role model that inspires the next generation. WiN UK was formed in 2014 as a not-for-profit making organisation run by volunteers and became a branch of the Nuclear Institute in 2016.